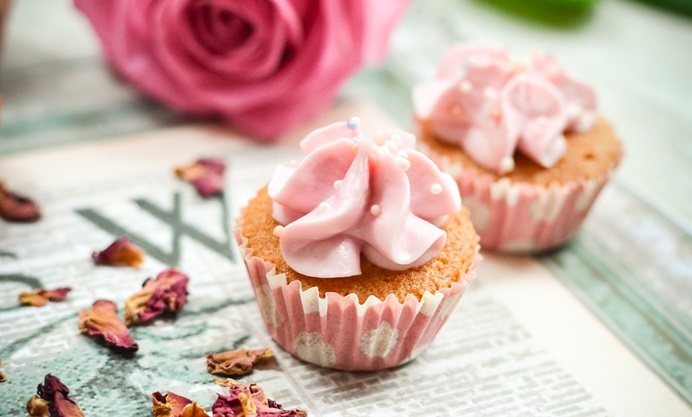 Urvashi's mini rose cupcakes are as pretty as they are delicious, delicately flavoured with rose water for a flavour that epitomises the English flower garden. Serve with English breakfast tea for the ideal pairing. For more fantastical Mad Hatter's tea party recipes, visit our page celebrating the 150th anniversary of the publication of Alice's Adventures in Wonderland. 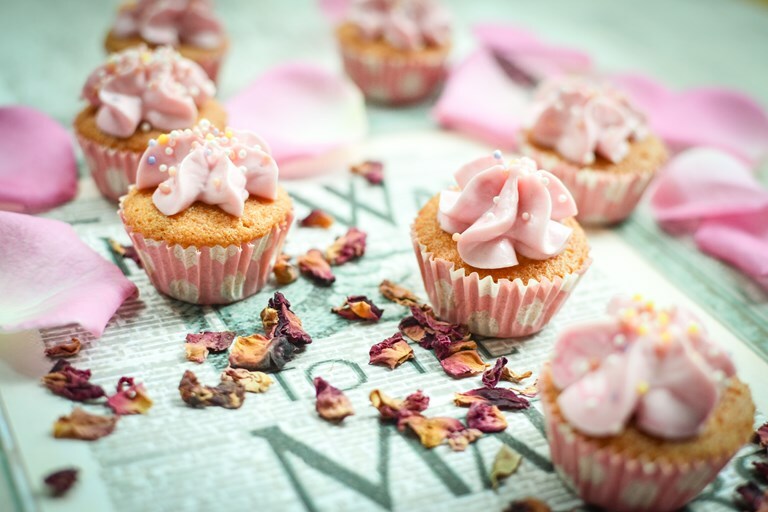 If you're left worrying that your afternoon tea isn't quite English enough allay your fears with Urvashi's fragrant little cakes, which are scented with rose water and decorated with hundreds and thousands - perfect for eating out in the garden. Mini cakes are an excellent contribution to a tea table, not only looking dainty and delicate but also - ostensibly - preventing everyone from filling up before they've had a chance to try all the wares.